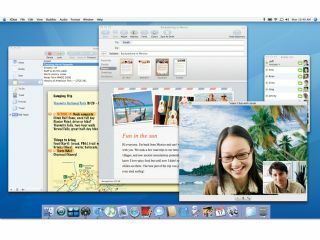 Leading security expert Dino Dai Zovi is telling Mac fans the news they don't want to hear - that Windows Vista is better than the current version of Mac OS X from a security standpoint. Zovi, who is a Mac user himself, makes the claim in an interview with US magazine Macworld . It was Zovi, of course, who recently revealed flaws in Apple's QuickTime media player, gaining him an acknowledgement from Apple for addressing the issue. "I have found the code quality, at least in terms of security, to be much better overall in Vista than Mac OS X 10.4. It is obvious from observing affected components in security patches that Microsoft's Security Development Lifecycle (SDL) has resulted in fewer vulnerabilities in newly-written code. I hope that more software vendors follow their lead in developing proactive software security development methodologies." "I do not think this is too much of an issue, though, as I believe that the vast majority of users should simply patch the security vulnerabilities as soon as possible regardless of their criticality." Zovi recommends that all Mac users give their primary user accounts non-admin privileges; to use separate keychains for critical passwords and store sensitive documents in encrypted disk images. Let's hope things improve in Mac OS X 10.5 Leopard, due September.